I have a strange reading habit. I'm drawn to any book that has the word "House" in the title. Spread out a pile of books, and I'll always look at the one that says "House" first. Why? Just in case said "House" is haunted. When I first came across The Poisoned House , I had to see what the book description had in store for me. Life can be cruel for a servant girl in 1850s London. Fifteen-year-old Abi is a scullery maid in Greave Hall, an elegant but troubled household. The widowed master of the house is slowly slipping into madness, and the tyrannical housekeeper, Mrs.Cotton, punishes Abi without mercy. But there's something else going on in Greave Hall, too. An otherworldly presence is making itself known, and a deadly secret will reveal itself---a secret that will shatter everything Abi knows. With a description touting "an otherworldly presence", how could I pass it by? Thankfully, I wasn't disappointed. 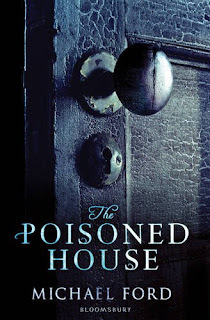 The Poisoned House had a wonderfully ominous Victorian setting complete with an evil housekeeper, a captivating servant girl, and a ghost from beyond the grave. The mystery and suspense had a great buildup while taking a subtle approach to the ghost of Greave Hall. If you are a fan of historical fiction or mysteries, I recommend reading The Poisoned House. 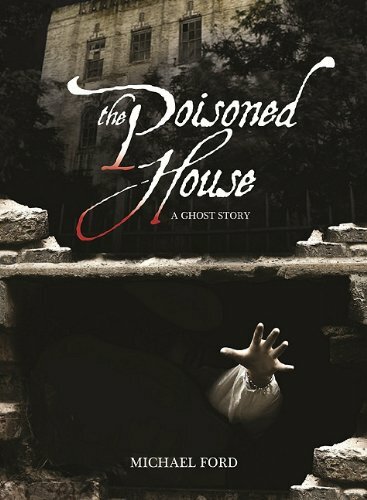 The supernatural element lends a nice extra touch to this Victorian mystery.